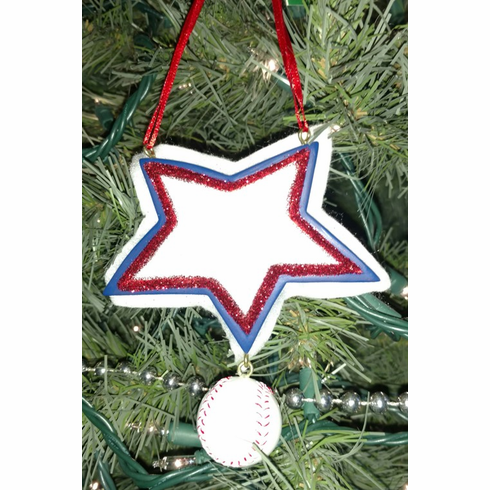 Red, White and Blue Star Baseball Resin Ornament. Blue star with white cloth backing and red glitter on the front. Measures appx. 3.75" wide x 4.25" high.